Hans Fidom (researcher Orgel Park), “The Orgel Park & Mediatizing Music Machines”. Tomi Mäkelä (Martin Luther University, Halle-Wittenberg), “Visualizing Virtuosity and the idea of “Gesamtkunst””. Melanie Fritsch (Universität Bayreuth), “Music in Videogames”. James Deaville (Carleton University, Ottawa), “Sounding the War in Iraq: The Politics of Television News Music”. 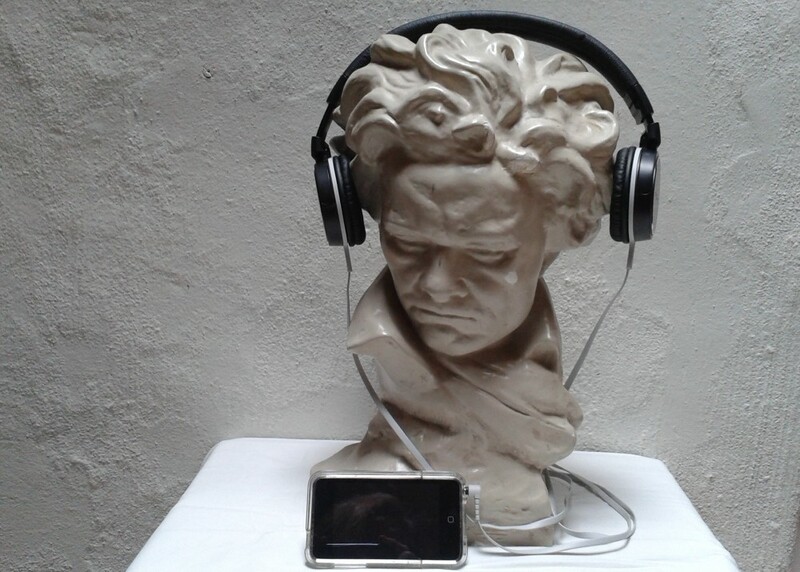 9.30 Emile Wennekes, “Mediatzing Music as program, Music & Media as IMS Study Group”. Sander van Maas (Utrecht University/University of Amsterdam), “Mediation and Phantasm: On the Musical Constitution of Listenership”. Claudia Marisa Oliveira/Gilberto Bernardes (Superior School of Music and Performing Arts of the Porto Polytechnic Institute), “Sumbiosis: the Gesamtkunstwerk in the 21th Century”. Tilmann Seebass (IMS President), “IMS and its Study Groups”. Festive inauguration of the MaM studygroup into the IMS. diverse aspects relevant to the theme of ‘mediatizing music’. Music plays an important role in media, both in old and certainly in new media: commercials, games, films, ring tones and the like. The other way around, media play an increasing role in music. They have changed the compositional process and characteristics of style; media severely influences performances, composing techniques, the way of recording and visualizing music. 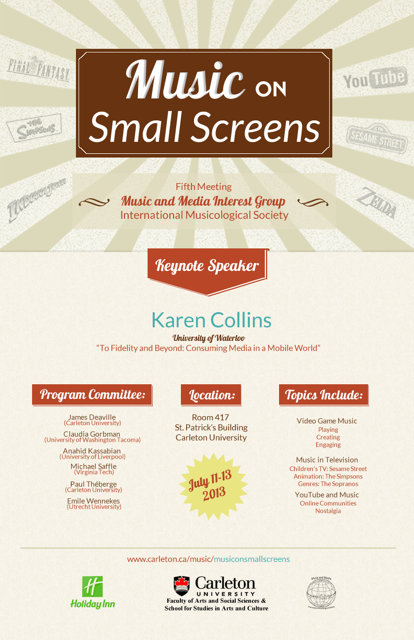 What are the theoretical and philosophical consequences of mediatized music? What are the economics behind these processes of mediatization? What role does the process of ‘remediation’(Bolter & Grusin, 2000), from LP to MP3 and 4, play? How has mediatization influenced performance practice, what was the ‘phonograph effect?’ (Katz, 1999). What do processes of mediatizing music mean in terms of ‘liveness’ (Auslander, 1999), ‘animated liveness’ (Wennekes, 2009) and/or ‘immersion’ (Grau, 2003)? This site will publish the Calls for Papers, Preliminary and Final Programs of the MaM conferences. See also the group established via LinkedIN. -Auslander, Philip, Liveness: Performance in a mediatized culture. (New York: Routledge, 1999). -Bolter, Jay David & Grusin, Richard, Remediating: Understanding New Media (Cambridge: MIT Press 2000). -Katz, Mark, The Phonograph Effect: The Influence of Recording on Listener, Performer, Composer, 1900-1940. PhD Thesis University of Michigan, 1999. -Wennekes, Emile, ‘Brief encounters of a third kind: First Life live concerts in Second Life concert venues’. In: Thea Brejzek, Wolfgang Greisenegger and Lawrence Wallen (eds. ), Monitoring Scenography 2: Space and Truth / Raum und Wahrheit. Institute for Design and Technology (idt) Zurich: Zurich University of the Arts, October 2009.